Since the explosion of the Samsung Galaxy Note 7 battery, the quality of the Samsung mobile phone has been questioned by the outside world. When the Samsung Galaxy S8 Plus smartphone was released, it was loved by consumers. Samsung returned to the peak, and the smartphone market share was second only to Apple iPhone. Due to its curved screen design, its screen is fragile. We recommend that you buy the Samsung Galaxy S8 Plus case. We have selected several of the best Samsung Galaxy S8 Plus wallet cases in 2018. 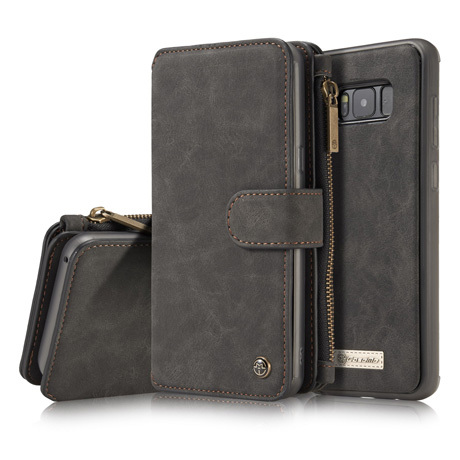 This CaseMe wallet is perfect for your Galaxy S8 Plus device and gives you plenty of room to store your credit card, ID and money. Due to the detachable 2-in-1 design, you can separate the wallet and phone case at any time. 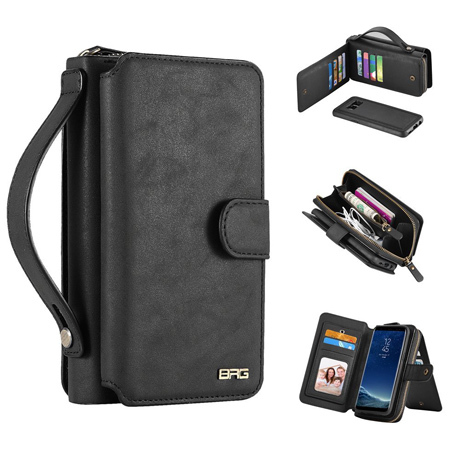 This is a real wallet that has all the features of a wallet and also protects the phone. There are three card slots on the front cover and a larger zip pocket for coins, headphones, lipstick and more. Your Galaxy S8 Plus is located in the bumper cover on the back of the chassis. If you are looking for a more traditional wallet, then DG.MING’s choice is very good. It is designed like a wallet, can hold 14 credit cards, has two cash pockets, and use cowhide leather, making this wallet case durable. 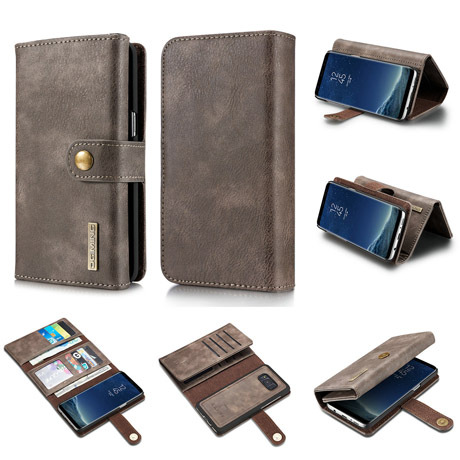 If you like real leather case, we recommend this to you: iCarer Samsung Galaxy S8 Plus Genuine Leather Case, which has a soft microfiber lining to prevent scratches, made of soft and durable European leather, curved edges, can Perfect for your Galaxy S8 Plus.